Who can remember waiting for that certain catalogue to arrive? I know I would wait for my favourites and then pour over the catalogues for days planning my next purchases. In our house, the Canadian Tire catalogue ruled the roost. 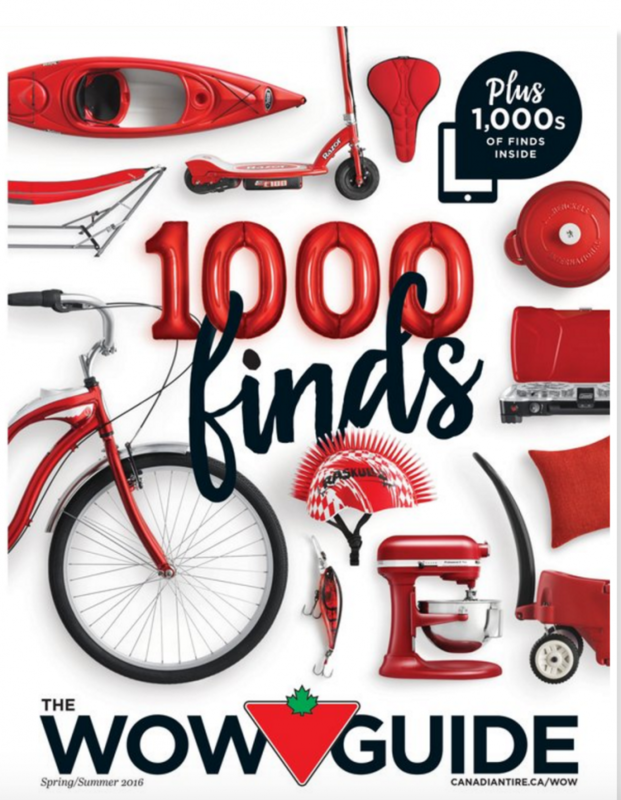 This year Canadian Tire not only brought back the catalogue but brought it back in a digital format unlike anything consumers have ever seen before. How great is that! The catalogue has been entirely reinvented! When it comes to catalogues we are definitely being wowed! First of all, I absolutely love that the catalogue is back. With it being gone for 10 years, I missed it. Yes, I had my weekly flyers which I loved but it was not the same. 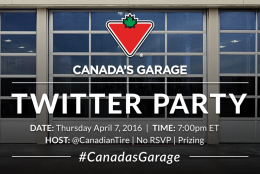 Canadian tire has so many great products and I love being able to shop from home. When you have the busy life we do, it is great when you can just grab a catalogue and take a break and take a look and see what I may need. I love grabbing a coffee and taking my catalouge on the back deck and thinking of all the ways I can redo my yard this year. Back in April Canadian Tire sent out a 200 page catalogue for the first time in 10 years. As I said, I have really been loving having mine with me here at home. Did the Wow Guide arrive in your mailbox? It had over 1000 products that are perfect for spring and summer! 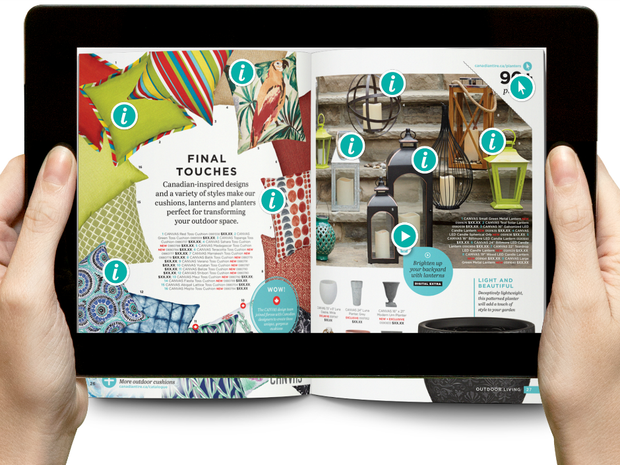 The pages however, have been reimagined with lots of technology built in for us technology lovers! Do you love the new features as much as I do? This is definitely a new way of doing catalogues! With ” hover and discover”, I am not just looking at photos of products. I can get so much information simply by placing my phone over my catalogue! Genius right!? 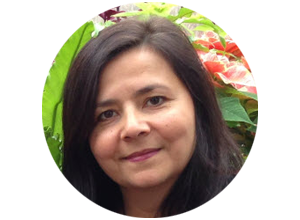 It matches up the image you are hovering over with all the content you need right at that moment. There are so many things for you to find when you hover! I love that all I have to do is hover, and I get so much amazing content. The app lets you find everything you may want to know! If you have not hovered with the Canadian Tire app, you are missing out! Browse the galleries of photos and get inspired. One of my favourite things about hovering and discovering are the videos. There are plenty of video links in the new catalogue. Do you have a favorite yet? Since we are looking at a new grill we have checked out all the tips and videos there. My son loves the water blasters and water ballons so I think this summer will brings lots of water fun as well. 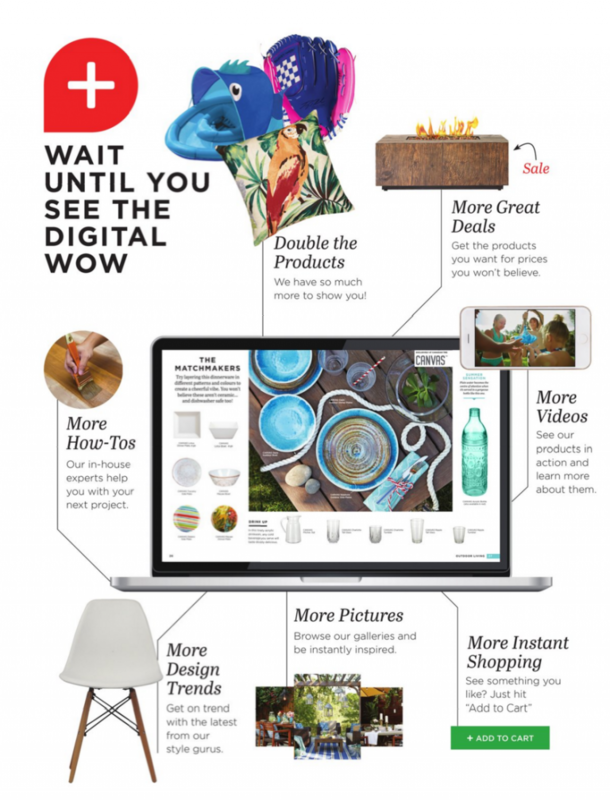 Check out the WOW Guide and let me know what is on your shopping list. 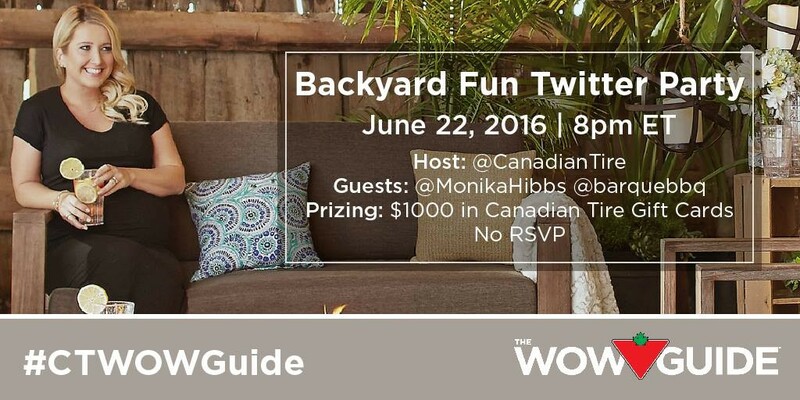 #Twitterparty Chicken with me and win great prizes!